The music. The moves. The sweat. The burn. The first time Laurie took an indoor cycle class, she knew she had found her future. The music. The moves. The sweat. The burn. She was hooked. But after returning time and time again, she realized a key ingredient was missing: Community. So she decided to build her own. Laurie and her husband Dan are bringing a revolutionary new fitness studio to Redding. TRUE Ride is unlike anything our community has seen before. It is different. It is addictive. It is powerful. At TRUE Ride, we are all about community. When you walk through our front door you are no longer a stranger, you become a part of our family. We open our minds, arms, and hearts to new things and people. Whether you are a beginner or long-time participant of rhythm riding, there is a place for you here. Young, old, newcomer, professional: we are united in our differences. 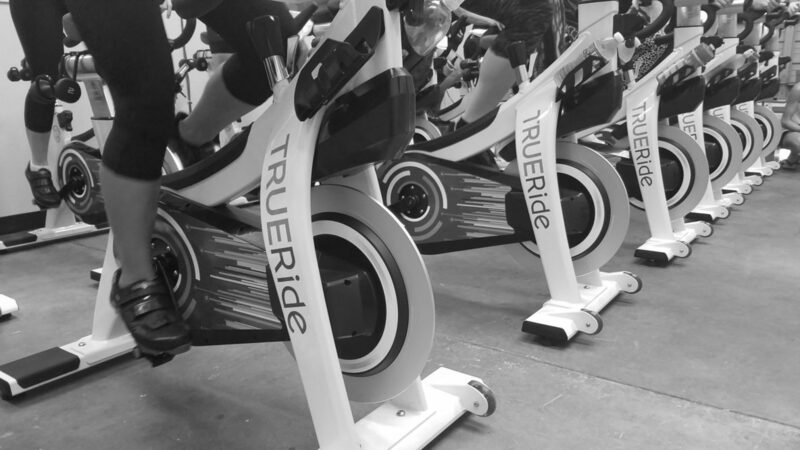 TRUE Ride is a fitness community committed to raising the roof at our own cardio party. We are transformed by sweat, high on endorphins, and passionate about fun. We are dedicated to being the truest version of ourselves, to changing our lives and our community. We host once a month charity rides to raise money for causes close to home, for the needs right here in our own backyard. Do you know of a non-profit, school, or organization that could use our help? Let us know! We want to be an agent of change. Life is about the people you meet and the things you create with them. Join us today and we will create change together!